Khopra Trek via Poonhill is a different adventurous journey in Annapurna Conservation area. Eyes On Nepal suggests you to choose newly discovered Khopra Trek via Poonhill which is also known as Mulde /Muldai view point trek. This trek offers trekkers the best panoramic view of Annapurna and Dhaulagiri range of Mountains, sunrise and sunset. You have also chance to spot rare wild animals, such as dear, monkey, blue ship, Yak and Monal etc. If you would like go on a newly discovered yet remote area, Khopa trek should be your no. 1 choice. Highlights: Ulleri Uphill will test your physical fitness. 08.00 am: Drive to Nayapul with your backpack. During your drive you will see some amazing view of mountains and villages. 09.30 am: Arrive in Nayapul(1070m) and trek to Birethanti(1025m) for 15 minutes. You will enter the Annapurna conservation after after crossing the bridge over Modi Khola. After crossing the bridge you will catch the rough motor way to left going to Tikhedhungga. 12.00am: Arrive in Sudame(1340m) and continue the trek to Ulleri through motor way. 01.00am: Arrive in Hille(1460m). You will have lunch in Hille. 02.00pm: Start trek again after lunch. 02.30pm: Arrive in Tikhedhungaa(1540m). After crossing the bridge over Bhurundi river you will have hard uphill shone steps trek to Ulleri. Tikhedhungga to Ulleri uphill trek will test your physical fitness. 05.00pm: Arrive in Ulleri(1960m). Overnight in local local lodge. 07.00pm: Dinner at local lodge. Highlights: Uphill trek to Ghorepani through pine and rain forest. 09.00am: Start trek to Ghorepani(2860m). 09.45am: Arrive in Banthanti(2210m). Note: You can see mountains like Machhapuchhre (6997m), Hiunchuli (6441m) and Annapurna South(7219m) on clear day. Enjoy the moments. After taking some photographs, continue the trek to Nangethanti(2430m) through rhododendron flower forest. 11.30am: Arrive in Nangethanti(2430m). You will have your lunch here. after lunch we start the trek to Ghorepnai(2860m). 02.30pm: Arrive in Ghorepani(2860m). You can see good view of mountains like Dhaulagiri, Annapurna South, Hiunchuli, Annapurna I and other mountains. 04.00 am: Wake up and trek to Poonhill for sunrise view. Note: Please take your flash light and trekking pole because the trail is narrow, dark and icy slippery in on snowy time. 06.00am: Arrive in Poonhill and wait for the sunrise. You can see the amazing panoramic view of mountain from Poonhill such as Dhaulagiri (8167m), Annapurna I(8091m), Annapurna II (7937m), Annapurna III (7855m), Annapurna IV (7525m), Annapurna South(729m), Nilgiri(6940m), Tukuche peak (6920m), Varaha Shikhar (7847m), Lamjung Himal (6931m) and other mountains. After talking some photographs, we trek down to hotel for breakfast. 08.30am: Arrive in hotel and breakfast at the hotel. 09.30am: Check out from local lodge/Hotel and trek down to Chitre(2390m). 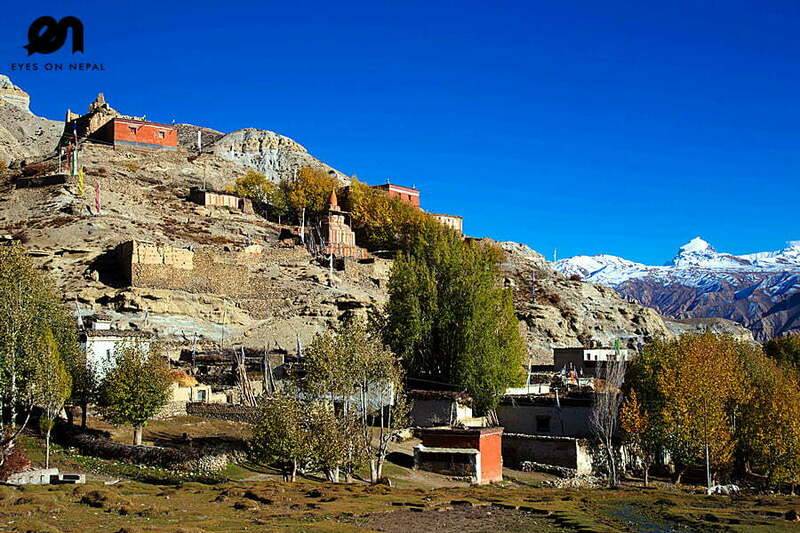 Note: Citre is popular Magar village in this area. 11.00am: Arrive in Citre. You can see mountains like Annapurna south, Nilgiri South and center, Tukuche peak, Dhaulagiri range from here. continue the trek to Swanta. 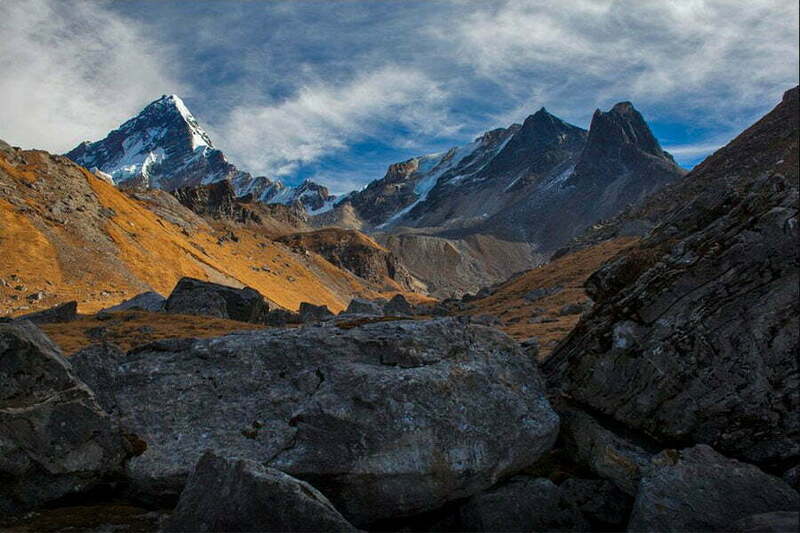 01.00pm: After about 2 hours downhill trek from Chitre you will arrive another Magar Village called Swanta(2270m). You will see the Dhaulagiri range and Gurju Himail. Note: Lunch and dinner at the local lodge.Thre are only 3 hotels are in operation. Highlights : Amazing view of the mountains. 08.00am: Start te trek to Kopra Danda(3660m) along Rhododendron flower forest . 11.00am: Arrive in Ratmate(2930m). You will have tea break here in Ratmate. we continue our trek to Dhankharka(3026m) after the tea break. 01.00pm: Arrive in Dhankharka known as Sistibang (3016m). Lunch and dinner at the hotel. You will see some views of Dhaulagiri 5th from here. Highlights: Amazing panoramic view of the mountains. 12.00pm: Arrive in Khopra danda(3660m). You will see panoramic view of Dhaulagir in close view, Tukuche peak, Nilgiri, Annapurna South, Bharha Chuli (Fang) etc. Meal: Lunch and dinner at the hotel. Note: You can stay one more day at Khopra Danda. If you extend one more day at Khopra Danda you can visit Khayer Barah Temple and around. This is area is popular for wildlife and mountain views. 08.00am: We start our trek to Dobato(3420m) through rough narrow trekking route in deep rhododendron flower forest. There are two routes to reach Bayeli. We choose the trail goes to river. Because of security concern, stones fall down and slippery trail, we don’t use old route to reach Bayali even it is one hour shorter than new route. 09.30am: Arrive to the river, cross the wooden bridge over river and start uphill trek to Bayeli. Note: you will trek in deep Rhododendron forest with some chances to encounter wild animals. 01.00pm: Arrive in Bayeli. You will have lunch in Bayeli. There is only one hotel to have lunch. 02.00pm: Continue the trek to Dobato known as Baisi Kharka(3420m). It is about 1.30hr normal up and down hill trek. 03.30pm: Arrive in known as Baisi Kharka(3420m). You can see the amazing view of mountain from Dobato. You have two option here. Option 2: If weather is good, Trek to Muldai view point for sunset view. You can see amazing sunset view. It is 45 minutes uphill trek and you can see more than 26 mountains such as Annapurna range, Dhaulagiri range, Nilgiri, Lamjung Himal range etc. Even in a clear day, you can see Pokhara valley and beautiful Phewa lake. Enjoy the views and moment. After talking some photograp, we trek down to hotel for 3o minutes. Highlights: Amazing panoramic view of the mountains and sunrise. 05.00am: Wake up and trek to Muldai hill view point(3637m) for the best panoramic view of the mountain in this entire Annapurna conservation Area. 05.30am: Arriive in Muldai hill view point. You can see some amazing colors on the sky. Muldai hill view point offers you views of more than 26 mountains in panoramic order. You will forget Poonhill once you reach this hill station. Take some photographs. 07.00am: Trek down to hotel . Note: Dobato itself offer amazing view of mountain and sunrise. 07.30am: Breakfast at the hotel. 08.30am: Start trek to Ghandruk(1940m). 12.30pm: Arrive in Tadapani(2630m). You will have lunch here. You can see mountains like Annapurna South, Hiuchuli, Fishtail, Gangapurna, Mardi himal. 01.30Pm: Continue the trek to Ghandruk(1940m). 02.30pm: Arrive in Bhaisikharka and continue the trek to Ghandruk. 04.15pm: Arrive in Ghandruk. 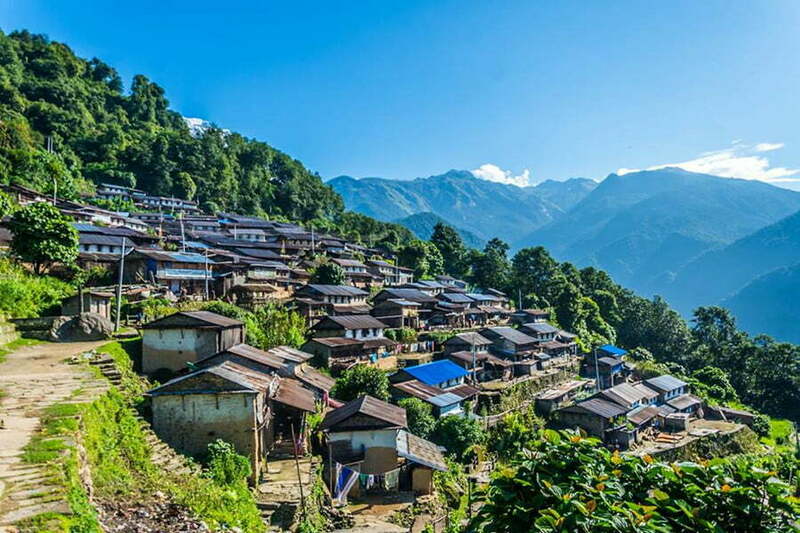 It is the most popular and scenic Gurung Village in this Annapurna Reason. You can expolore this village. There is Gurung Musuem too. You can see mountains like Annapurna South, Fishtail, Hiunchuli, and Gangapurna etc. Highlights: Amazing view of Annapurna South and Ghandruk Village. 08.00am: Start trek to Pokhara. 09.00am: Arrive in Chane and continue the trek to kimche(1640m). 09.30am: Arrive in Kimche(1640m) and continue the trek to Kilyu. 10.30am: Arrive in Kilyu and continue the trek to Syauli Bajar by motor way. Note: You can catch bus to Pokhraa from here easily. 11.30am: Arrive in Syauli Bazar and have your lunch here. 12.30am: Continue the trek to Birethanti(1025m) after lunch. 02.30pm: Arrive in Birethanti(1025m) and walk to Nayapul. 03.00pm: Arrive in Nayapul(1070m) and we will catch bus to Pokhara. 04.30pm: Arrive in Pokhara. Check in your hotel. Accommodations x 7 nights in the mountains. NOTE: Base on twin sharing and in some of the places you will sleep at hall. It depends upon the touristic season. We will do our best to provide your own room. Pick up from your hotel and transfer to Nayapul on day 1. 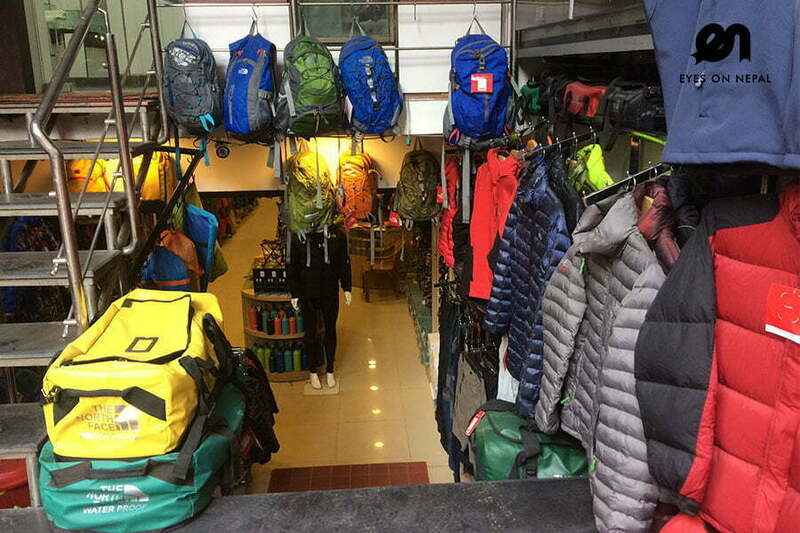 Pick up from Nayapul and transfer to your Pokhara on day 8..
1 trekking guide & 1 porter (maximum 20 kg luggage) will be provided during your treks.